Today is expected to be the hottest day of the year so far. And with air conditioners working overtime to cool homes and buildings, the demand for power is heating up along with the temperatures. That means your energy bill could skyrocket this summer. But if you take a few easy steps, you could save money on your bill. PEPCO recommends that you set your thermostat at 78 degrees. It seems warm, but it says once you remove the humidity, 78 can be a comfortable temperature. 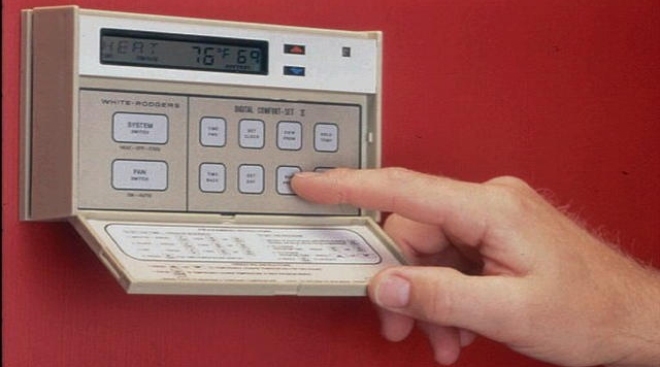 Every degree up on the thermostat can save you as much as 5 percent on your energy bill. Change your air conditioner filter. A dirty filter causes the A/C unit to run longer and inefficiently. Close your window shades, blinds and drapes or curtains to block the sunlight during the hottest part of the day. Move lamps, TVs, and other heat-producing items away from the air conditioner's thermostat. Heat from these appliances could cause the unit to run longer than necessary. And remember to turn off all applicances when they're not in use. Check that all your windows and doors are tightly closed. And consider using insulation around the windows to keep the cool air in and the hot air out. Try to cook and use other heat-generating appliances such as washers, dryers and dishwashers in the early morning or late evening when it's cooler. Or hand wash dishes to conserve energy. Wash clothes in cold water and line dry. Run the diswasher only when it's full. And use the air-dry option if you have it. And it's summer. Lighten up your meals. This is a good time to consider salads, fruits and vegetables that don't require a lot of cooking. Even microwave ovens and outdoor grills use less energy than your stove or oven.